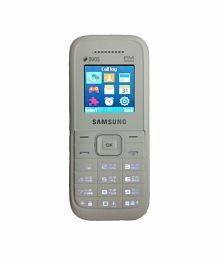 SAMSUNG GURU FM Plus SM-B110E/D (White)@1470 Rs [Mrp:-1470] - Onlinedeals.discount - A leading product discovery and comparison website. Find the true prices of products, read reviews and buy top brand products at reasonable prices. 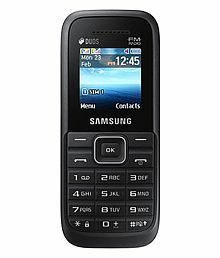 If you are looking for a sturdy feature phone with a sleek design, the Samsung Guru dual SIM phone could be a great choice. Featuring a 7.36cm display, this durable handset comes with 5-way navigation keys and has a spacious TFT screen. It also has a sturdy bar design with attractive contrast edging and anti-dust keypad, making it even more user-friendly. Equipped with 256MB internal storage, the phone gives you enough room to store as much data as you want. Be it your contacts, music and more, the phone will run smoothly with this much storage capacity. 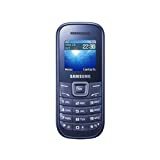 The Samsung Guru is a good choice for all those who are looking for a pocket friendly phone with all the basic features. One of the noteworthy features of Samsung Guru is its impressive battery life. 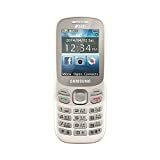 Fitted with 256MB internal storage, the handset allows a talk-time of 8 hours in a single charge and a standby time of 450 hours. The high energy battery of the phone does not get drained easily; you can enjoy uninterrupted chatting with family and friends. 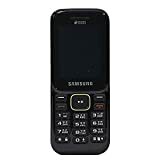 Other than this, the phone comes with a lot of other features like FM radio, MP3 ringtones, 2G connectivity, multi-language compatibility, loud speaker, call waiting and much more for your convenience. The above description is for the SAMSUNG GURU FM Plus SM-B110E/D today.